5. 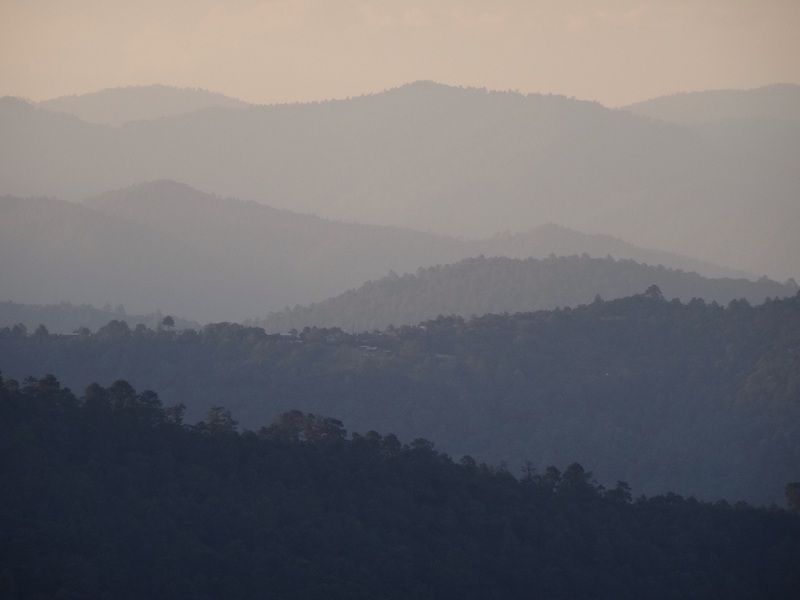 Hike the Sierra Norte near Oaxaca City. Read More. Vegas meets Australia’s Gold Coast on the shores of the Whitsunday’s Whitehaven Beach. The beach itself is stunning with picture postcard white sand and crystal clear aqua coloured water that stretches for miles. Lining the beach are high rise hotels. Read More. Valladolid is a beautiful small colonial town that is the gateway to the Mayan ruins of Chichen Itza and Ek Balam and a number of nearby cenotes. With cute squares and churches, chocolate and Toquilla museums and cenotes in and around the town, it is easy to spend a few days here. Read More. Museo Subacuatico De Arte (MUSA) or Underwater Museum of Art. A gorgeous island just a 20 minute boat ride from Cancun. It has lovely beaches, stunning water, a laid back feel and is minus the high rise developments and tacky tourist attractions of Cancun. I came to dive on the Museo Subacuatico De Arte (MUSA) or Underwater Museum of Art. Created between 2009 and 2013, large statues and other sculptures have been sunk off the island to create the art museum. Read More. With beachside ruins, cabanas, cenote diving, Akumal’s turtle beach and Coba’s ruins all closeby it is easy to spend a week relaxing and enjoying life in and around Tulum. Akumal is where turtles come to lay their eggs and feed on the sea grass. If you have a dive licence, the cenotes of Tulum are not to be missed. I dived Angilita and Grand cenotes and have heard excellent reports about The Pit and Dos Ojos. Read More. An hour bus ride from Tulum, Coba ruins is a gorgeous Mayan site spread over a large area on the edge of a lagoon and surrounded by jungle. It takes about three hours to walk the site with many structures connected by paths through the jungle. Read More. This place lives and breathes relaxation. This is where the Mexicans from the capital flock to for their Christmas holidays and although full of tourists when I visited at New Year it still didn’t feel crowded. Other times of year it is much quieter and there is no need to book in advance (except at New Year and late January during the circus festival). Read More. A slice of Australia in Mexico. This place is full of Australian surfers flocking to the massive pipeline wave that breaks on the bay of Puerto Escondido. I stayed in the chilled out La Punta which is at the end of Zicatela beach and was a lovely place to relax. Read More. The jewel of Mexico. This city is a place to plan to visit for a few days and stay for years. With stunning colonial architecture, paved pedestrian streets, beautiful churches, rich culture and gorgeous food, Oaxaca is a place to stop, relax, learn Spanish or take up some volunteering. Read More. 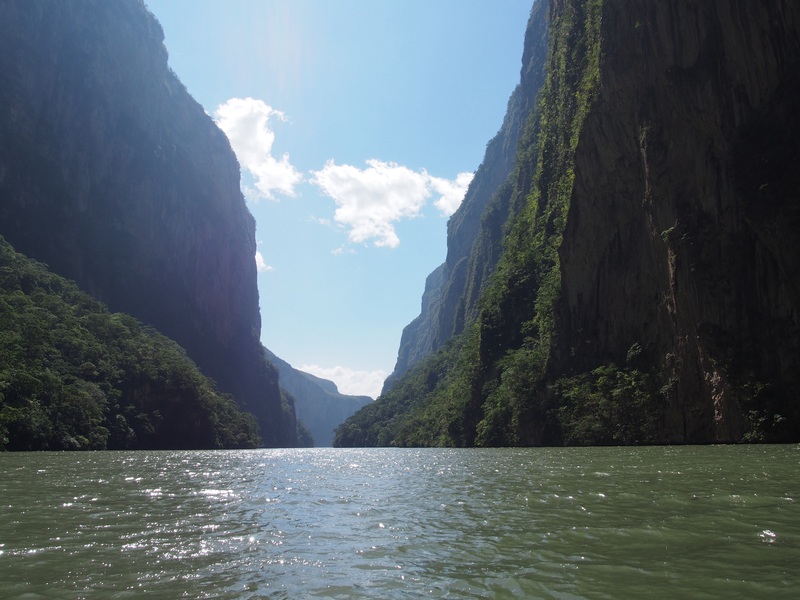 The stunning Hierve el Agua in the Sierra Norte mountains is a gorgeous place to relax away the afternoon. There is about an hour of hiking that can be done around the petrified waterfall and there are natural springs that have been funnelled into manmade pools which provide a stunning view over the valley while enjoying the cold water. Read More. The capital of Chiapas is the beautiful colonial town of San Cristobal. Famous for its coffee and chocolate, there are plenty of cafes to relax the day away, fabulous food, craft markets and there are plenty of cafes to relax the day away, fabulous food, craft markets and plenty of culture and natural sites close by. Read More. Gorgeous Palenque is the stuff of legions, with just five per cent of the site excavated you gain an understanding of the size and complexity of the Mayan empire. The pyramid-temples are set within dense jungle and excavations are continuing today. Read More.